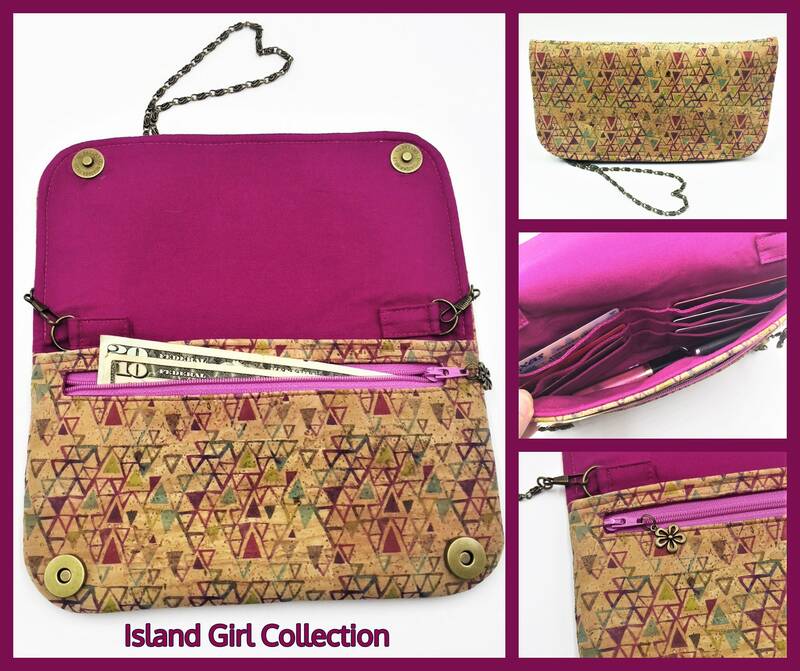 You are purchasing a digital download of the pattern to make the Makena Wallet Purse NOT a finished product. Supplies and notions are not included. You will receive a two PDF files. The first includes 12 pages of directions with actual pictures of a wallet in the making. The second file includes 4 pages of pattern pieces. Images shown in the listing are examples of the finished product made with the this pattern. Some photos may contain embellishments or deviations from this pattern. 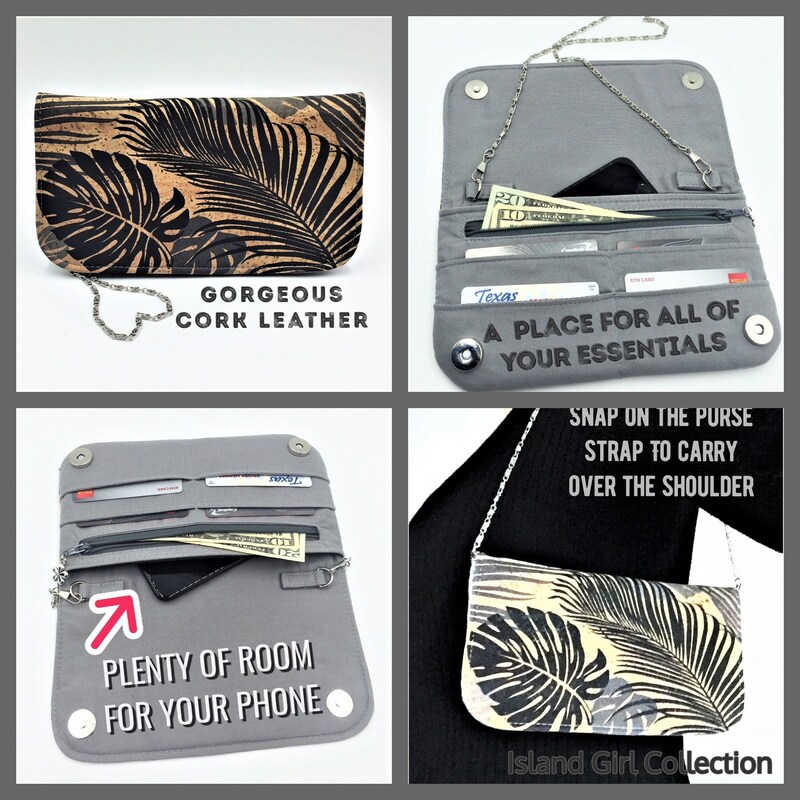 The Makena Wallet Purse is a generous size wallet that easily converts to a purse. 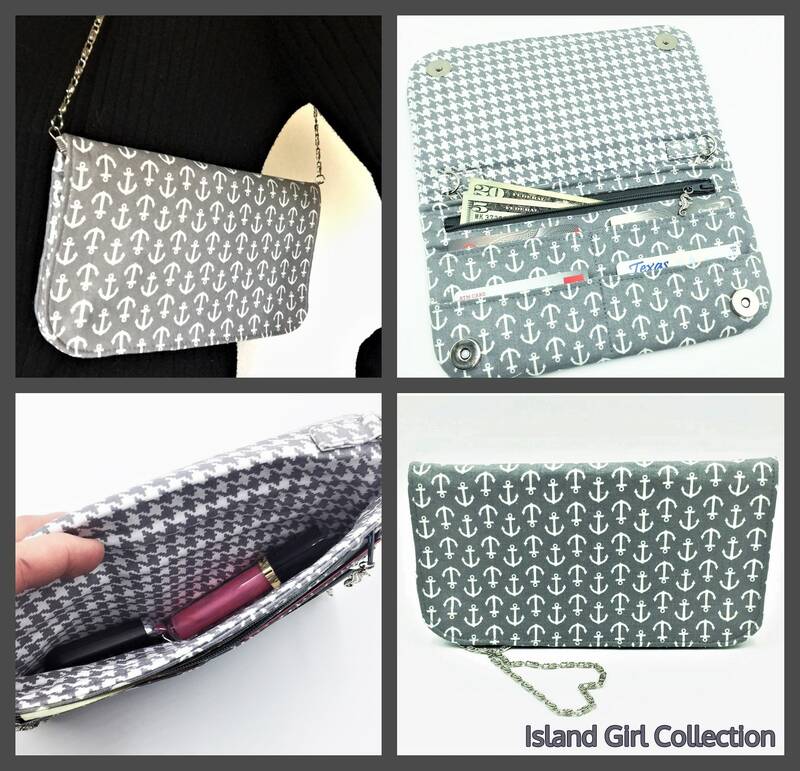 There's a ton of organization with two zipper pockets, four or six credit card slots, a large slip pocket, magnetic snap closure and two strap options. You will be surprised how much stuff your Makena can hold, including a pocket for your cell phone. 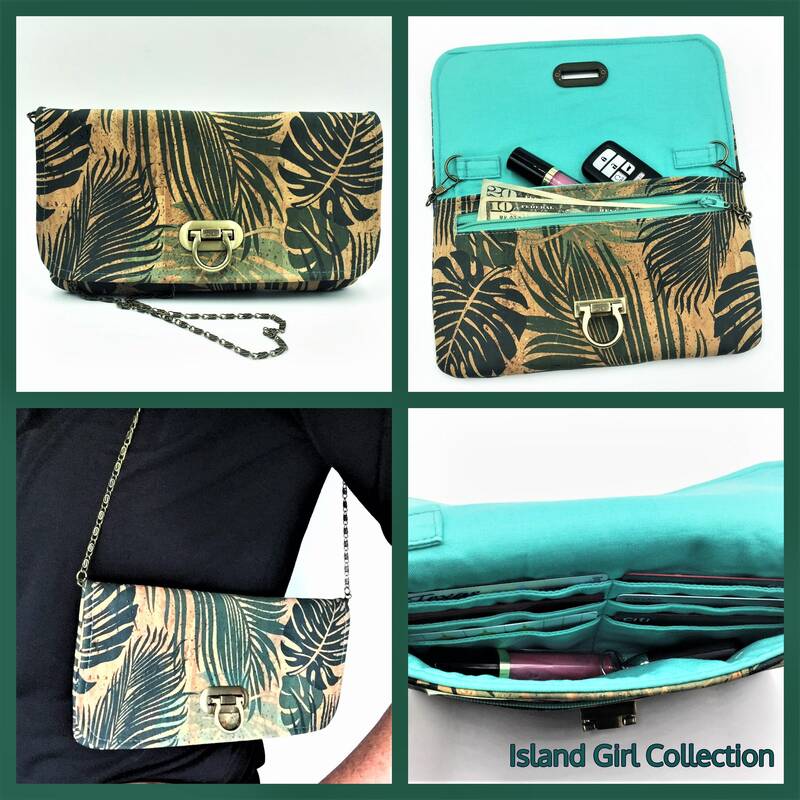 You can carry your Makena in your purse or simply clip on your chain or fabric strap to carry over your shoulder. For finished goods please feel free to visit my shop or convo me for a custom order! If you are using cork fabric or leather you may choose to skip the midweight interfacing and fusible fleece as these provide structure on their own. This is an individual preference. 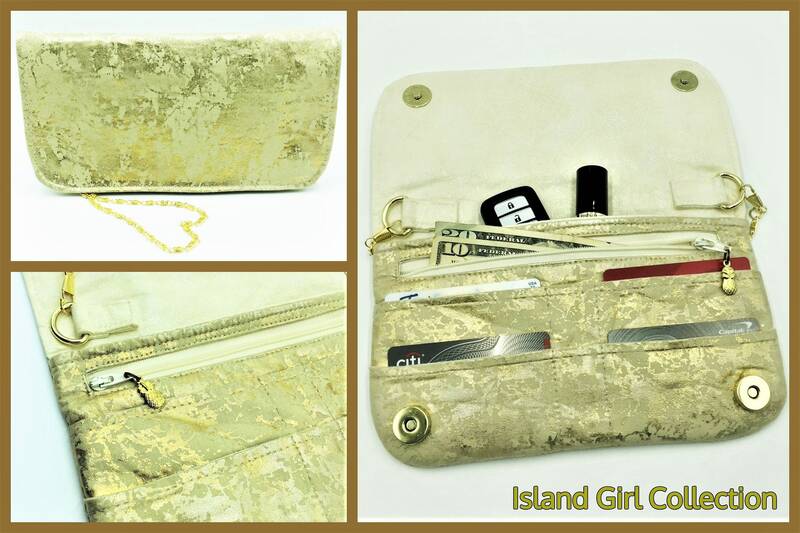 Small scale businesses are more than welcome to sell the Makena wallet purse using this pattern. • The pattern is of my own design and has been written and photographed by me. Please do NOT copy, reproduce, distribute, sell or share ANY part of this pattern in any way whatsoever. It is for your personal use only. 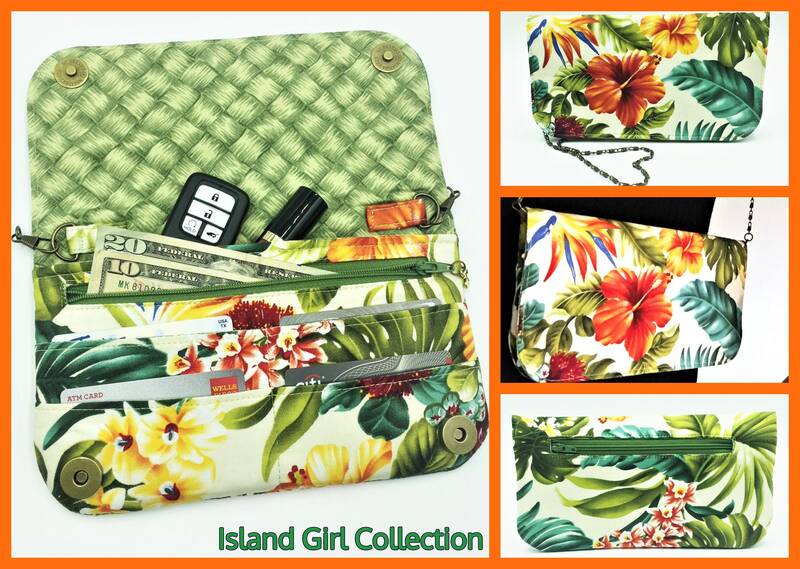 • Small businesses are welcome to use the pattern to make your own handmade Makena wallet purses. This pattern is not for commercial factory manufacturing or for mass production and mass selling. • This is my own creation. 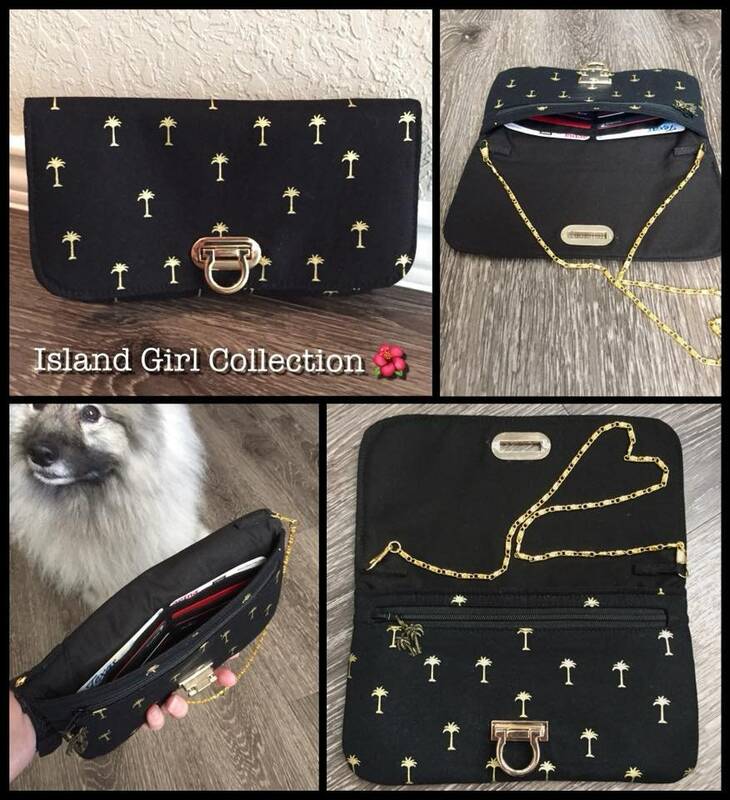 Please do not pass off Island Girl Collection's patterns as your own. 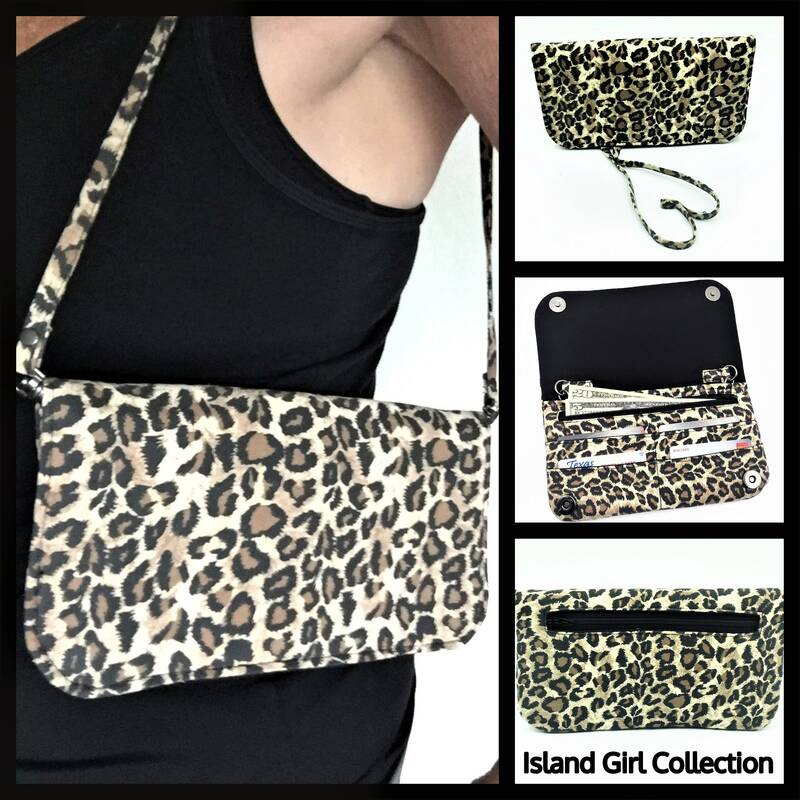 Consider giving credit to Island Girl Collection as the designer in your description or listing of your finished product. Thank you for your understanding and have fun sewing! 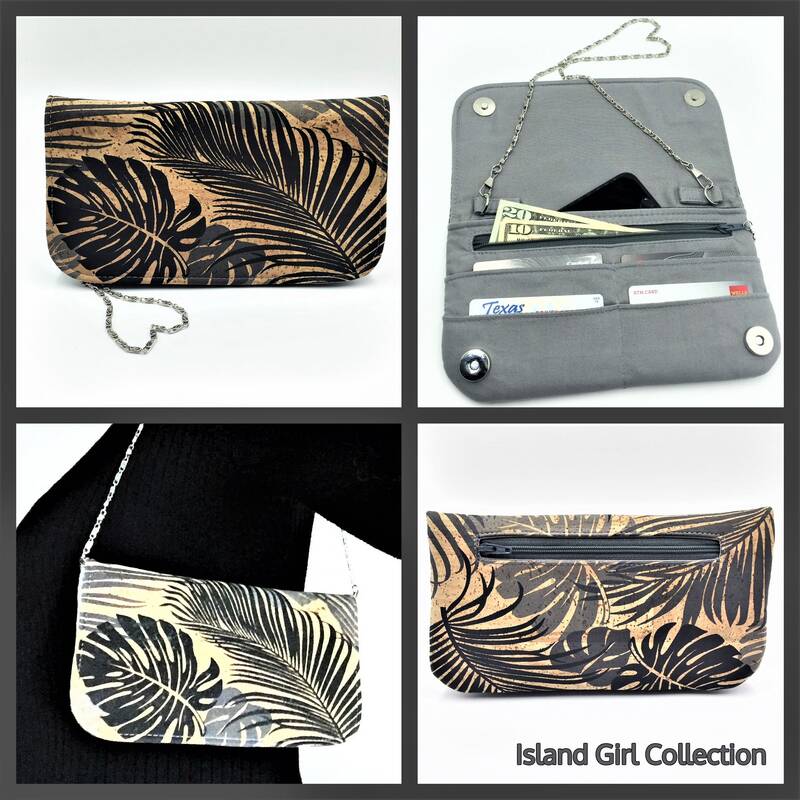 Once you've purchased the pattern, please join me and others who have made the Makena wallet purse over on my Facebook group. It is a closed group and you must purchase the pattern and answer a couple of questions to join. The group was created to discuss, share, support and post photos made from our patterns. It's also a great place to discuss tips, ideas, get help and encourage our fellow bag making enthusiast. Let's also have a little fun along the way! Please reach out on the Facebook pattern page or contact me directly if you have any questions at all. 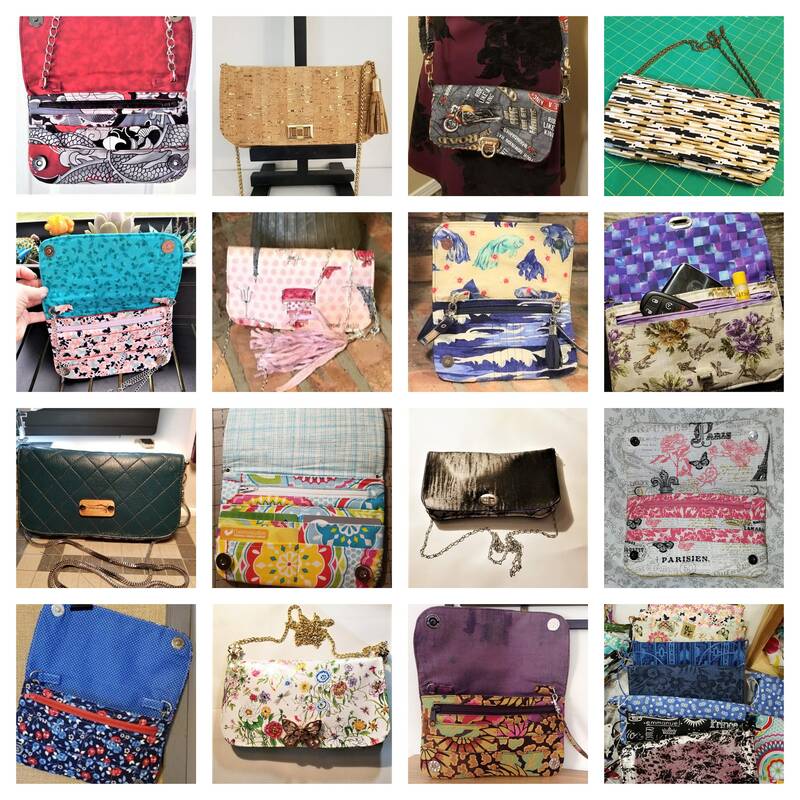 I want to offer a big mahalo (thank you) to all of the wonderful group of testers who helped me to test this pattern, made suggestions, volunteered their time, talent and effort to ensure that I am bringing you a easy to follow quality created pattern for your sewing pleasure.